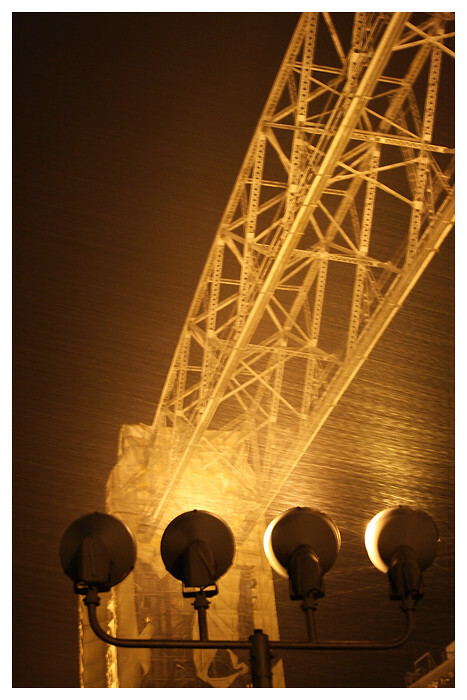 The photographer says: Wind: From ESE at 41mph gusting to 49mph ripped the tarps on the Aerial Lift Bridge [in Duluth, MN] to shreds. The waves were coming over the pier walls last night. The sidewalks were full of water/slush and ice was growing on everything the water could touch. It was really "cool". . . and windy.